After two days of intense hostilities, Hamas announced that it had agreed to a ceasefire with Israel. 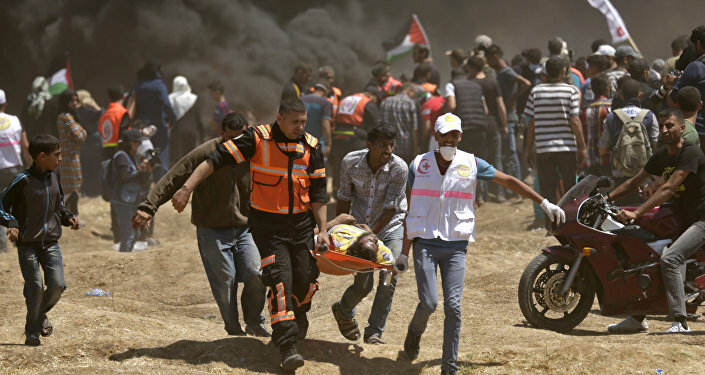 Analysts have contended that a new full-scale war between the two parties appears more likely than ever, as 110 Palestinians protesting along Gaza border with Israel have been shot dead by Israeli military personnel. Sputnik spoke to Hans Köchler, the president of the International Progress Organization to find out where things might go from here. 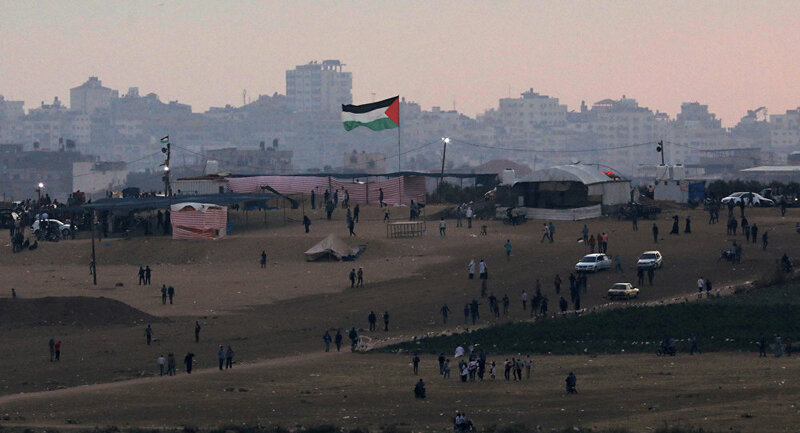 Sputnik: So the situation in Gaza is obviously a dire one, for how much longer can this go on? Hans Köchler: It will just drag as it has for so many years and there is absolutely no framework for a resolution of the situation, so there will be, again and again, violence and the siege also it seems will be going on and that means this will further the cause of frustrations and anger and the violence will never end under these conditions. Sputnik: So we of course know that peace afforded by ceasefire is a temporary phenomenon in Gaza and Southern Israel, with anxieties at a new high, do you see another conflict on the horizon between Israel and Hamas, as some are now predicting? Hans Köchler: For the time being it seems to be the case that both sides were able to negotiate a short-term cessation of fire with the help of the Egyptians but that cannot be taken for granted and so at any moment if emotions are running high because of certain measures by one or the other side there may once again be an escalation of a larger scale, and there is no predictability concerning developments because it is also to a large extent irrational. Sputnik: Some analysts have expressed their concern at Israel’s recently renewed attempt to draw a connection between Hamas, and Tel Aviv’s arch nemesis, Iran. Tel Aviv’s Defence Minister, Israel Katz, has said that “we see an Iranian fingerprint on Hamas” leading some to believe that through drawing this connection, Israel hopes to bolster its justification for confronting both Iran and Hamas simultaneously, hitting two birds with one stone – what do you think Israel’s strategy is here with regards to drawing a connection between Hamas and Iran? Hans Köchler: Of course Israel’s main preoccupation in the present constellation is Iran. The connection between Iran and Palestinian forces in Gaza may be of certain public relations value to Israel but in actual fact if one views the military capacities on the side of the Palestinians in Gaza the Iranian connection should not really be of serious concerns to Israel. It is mainly something that may be, or can be, exploited in terms of public relations.